You can upload an image for every Product that you upload. 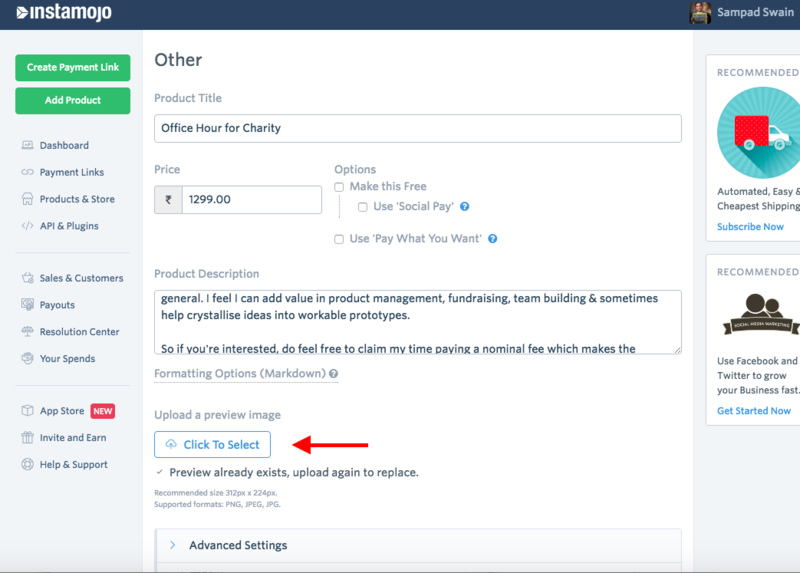 To add a picture, click ‘Edit’ and upload a picture for your product. Images help a great deal in conversions and therefore, uploading high quality images always helps. The recommended size for your images is 312px x 224px. 1. 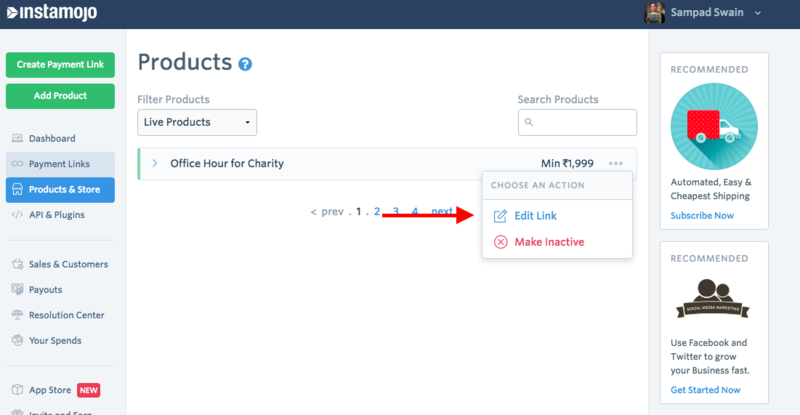 Go to Dashboard, scroll down to the Product and Store section and find your link you want to upload to or change image for. Click on the three dots beside it and click on Edit Link. 2. Find Upload a preview image section and click on ‘Click to Select’. Upload your new image and update settings.